RAY PRICE-ANOTHER BRIDGE TO BURN, TOUCH MY HEART, DANNY BOY AND TAKE ME AS I AM. It was never Ray Price’s intention to become a country singer. If his mother and step-father had their way, Ray Price would’ve followed in their footsteps and become a fashion designer. However, the world of couture didn’t appeal to Ray Price. Instead, he decided to head to college, to study to become a veterinary surgeon. Alas, Ray’s plans didn’t come to fruition. Eighteen year old Ray Price was drafted in 1944, and served in the United States Marine Corp in the Pacific Theatre. After the end of World War II, Ray returned to college to finish his studies. There was a problem though. Ray was only of slight build, and people wondered if he was really suited to the life of a vet in the Lone Star State? Much of their time was spent dealing with horses and cattle. Given his slight build, could Ray Price cope with this? This resulted in Ray Price having to rethink his career options. So Ray Price headed back to his father’s ranch in Wood County. That was where Ray was born on January 12th 1926. Sadly, his parents divorced when he was three, and for the rest of his childhood, Ray divided his time between his father’s ranch, and his mother and step-father’s home. By the time Ray Price was a teenager, he had discovered the guitar, and had learnt to play it. This would serve him well when he left veterinarian college, and was considering his future. Ray began singing at various functions in Abilene, in west-central Texas. Eventually, this lead to Ray to singing on the Hillbilly Circus broadcast on Abilene’s KRBC radio station. Little did Ray Price realise, that this would lead to him becoming one of the biggest names in country music. His wide ranging baritone voice features 116 singles and fifty-one albums. This includes Another Bridge To Burn, Touch My Heart, Danny Boy and Take Me As I Am, which were released between July 1966 and March 1968. These four albums have been reissued and remastered as a two disc set by BGO Records. However, in 1946 Ray Price was just making his way in the world of country music. Three years after making his debut on Abilene’s KRBC radio station, Ray Price joined the Big D Jamboree in 1949. It aired on the Dallas radio station KRLD-AM. Ray was going up in the world. Not long after joining the Big D Jamboree, CBS began to broadcast the show nationwide. For the first time, Ray Price was being heard by a national audience. It was also around this time that Ray met Lefty Frizzell. The two singers first met at the Beck Recording Studio, in Dallas. Ray Price was at the Studio to record some demos. However, he also ended up penning Give Me More, More, More Of Your Kisses for Lefty Frizzell. While the song didn’t give Lefty Frizzell a hit single, Ray’s demos caught the attention of Bullet Records, in Nashville. Soon, Ray Price was signed to Bullet Records, and sent into the studio to cut his debut single, Jealous Lies. When Jealous Lies was released in 1950, it wasn’t a commercial success. Despite this, Ray decided to move to the home of country music, Nashville. Having made the decision to move to Nashville, Lady Luck was smiling on Ray Price. When he arrived in Nashville, he ended up sharing a room with country music legend, Hank Williams. He became Ray’s mentor. This was despite Hank Williams being just three years Ray Price’s senior. By then, Hank Williams had over a dozen top ten country singles, including three number ones. Ray couldn’t have asked for a better teacher, and was a willing pupil. Although their time together was brief, Ray Price learnt a lot from Hank Williams, and was better prepared to make his way in the world of country music. By 1952, Ray Price was signed to Columbia Records, and released Talk to Your Heart as a single. It reached number three in the US Country charts. The followup, Don’t Let the Stars Get In Your Eyes the reached number four later in 1952. This was the last hit single Ray enjoyed for two years. 1953 didn’t start well for Ray Price. On the 1st of January, Hank Williams was found dead. He was only twenty-nine. It was a huge blow for his friends, which included Ray Price. After Hank Williams’ death, Ray Price managed his old friend’s band, The Drifting Cowboys. During this period, the band enjoyed some success. However, this wasn’t the only band Ray Price worked with during 1953. In 1953, Ray Price formed his own band The Cherokee Cowboys. Its lineup would change over the years, and during the late fifties and early sixties, included Willie Nelson, Roger Miller, Buddy Emmons, Johnny Bush, Van Howard, Darrell McCall and Johnny Paycheck. By then, Ray Price would be one of the biggest names in country music. It wasn’t until 1954 that Ray Price returned to the US Country charts. I’ll Be There (If You Ever Want Me). It reached number two, and was the biggest single of Ray’s career. For the followup, I’m Much too Young to Die was released later in 1954, but stalled at number thirteen in the US Country charts. However, it was another two years before Ray enjoyed another hit single. 1956 was a big year for Ray Price. Run Boy reached number five in the US Country charts. Then Ray’s cover of Crazy Arms gave Ray his first number one in the US Country charts. The followup, I’ve Got A New Heartache stopped just short of the top spot, reaching number two in the US Country charts. By then, Ray Price was well on the way to becoming one of the biggest names in country music. In 1957, the success kept on coming for Ray Price. I’ll Be There (When You Get Lonely) reached number twelve in the US Country charts. Then My Shoes Keep Walking Back To You gave Ray his second number one in the US Country charts. This was the perfect time for Ray to release his debut album. This was Ray Price Sings Heart Songs. It featured a selection of cover versions, including two penned by his late friend Hank Williams. When the album was released in July 1957, it failed to chart. This was a huge blow for Ray. However, he wasn’t alone. Other country artists, including Johnny Cash and George Jones were experiencing the same problem. The country album era had yet to arrive. After the disappointing performance of his debut album, Ray Price released his sophomore album, Talk to Your Heart in April 1964. It was a familiar story, when the album failed to trouble the charts. Two months later, Ray released City Lights as a single in June 1958. It gave Ray his third number one single in the US Country charts. Later in 1958, That’s What it’s Like To Be Lonesome reached number seven in the US Country charts. 1958 had been a year of mixed fortunes for Ray. His luck improved in 1959. In the singles charts, it was business as usual for Ray Price during 1959. Heartaches By The Number reached number two in the US Country charts. Then the Fuzzy Owen penned The Same Old Me, gave Ray his fourth number one single in the US Country charts. 1959 had been one of the most successful years of Ray Price’s career. However, he must have wondered what the new decade had in store? With a new decade dawning, Ray Price chose One More Time as his first single of the sixties. When it was released in 1960, it reached number five in the US Country charts. This was a good start to the year, as Ray began work on his first album in two years. Faith was released in September 1960, but despite the quality of music, failed to chart. However, when Ray released a cover of the Harlan Howard penned I Wish I Could Fall In Love Today, it reached number five in the US Country charts. Ray Price was enjoying more luck with singles, than albums. This record continued in 1961, when Ray Price released Soft Rain as a single. It became Ray’s third consecutive single to reach number five in the US Country charts. Soft Rain had stopped just short of the US Billboard 100, when it reached 115. The followup, I’ve Just Destroyed the World (I’m Living in) reached just number twelve in the US Country charts. Despite this, Ray Price popularity continued to grow. He was one of the most popular country singers, and was a popular live draw when he played with his band The Cherokee Cowboys. This continued to be the case as 1961 gave way to 1962. Pride was released as a single, and reached number five in the US Country charts. 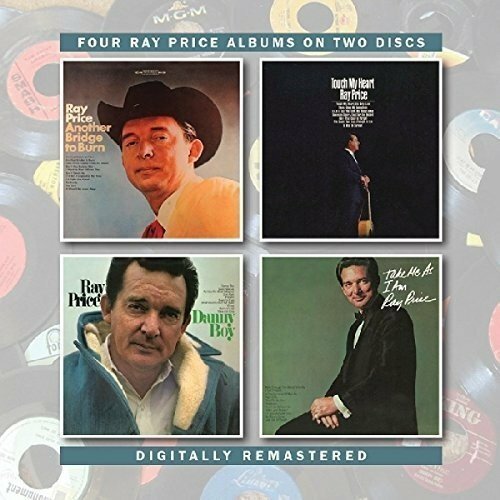 Then in May 1962, Ray released his fourth album, Ray Price Sings San Antonio Rose. Just like its predecessors, it failed to trouble the charts. However, at least Walk Me to the Door reached number seven in the US Country charts later in 1962. This was Ray Price’s twenty-first hit single. He had an enviable record, which he would add to during 1963. The times they were a changing in 1963. While country music had its own singles charts for many years, 1963 saw the introduction of the US Country album charts. Despite the introduction of the new chart, it took Billboard until 1964 before they first published the charts. By then, a familiar face had topped the US Country charts. This was none other than Ray Price. He had recorded his sixth album, Night Life, with usual backing band, The Cherokee Cowboys. This all-star band featured Willie Nelson, Johnny Paycheck, Buddy Emmons and Floyd Cramer. They recorded twelve songs, including the Ray Price composition The Twenty-Fourth Hour. 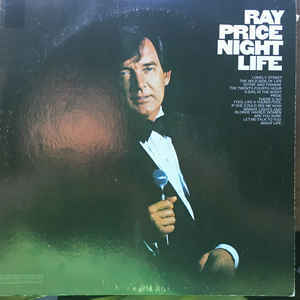 Night Life was a stylistic departure for Ray. With The Cherokee Cowboys, Ray Price took the old honky tonk sound, and incorporate it into what was a much more mainstream, Nashville Sound album. Night Life, which was released to critical acclaim in April 1963, was country music’s first concept album. It also gave Ray his first number one album on what was only the second week of the US Country Album charts. However, this wasn’t the end of the success Ray enjoyed during 1963. Ray Price released a cover of Hank Cochran’s Make the World Go Away as a single later in 1963. Not only did it reach number two in the US Country charts, but 100 in the US Billboard 100. Ray Price’s music, it seemed, was reaching a much wider audience. Buoyed by the success he had enjoyed during 1963, Ray Price was determined to hit the ground running in 1964. He released Burning Memories as a single, which reached number two in the US Country charts. The followup, Please Talk To My Heart, was released in July 1964, and reached number seven the US Country charts. It also gave Ray his first number one country single in Canada. A month later, Ray released his seventh album Love Life, which reached number three on the US Country Album charts. 1964 was proving to be another successful year for The Cherokee Cowboy. The only minor disappointment was that A Thing Called Sadness, stalled at number thirty-eight in the US Country charts. Apart from that, 1964 was another good year for Ray Price. 1965 was without doubt, the busiest year of Ray Price’s career. He released three albums, and enjoyed two hit singles. The year started with The Other Woman (In My Life) reaching number two in the US Country charts. Ray then released his latest and seventh album, Burning Memories in March 1965. It reached number eight in the US Country Album charts. Don’t You Ever Get Tired (Of Hurting Me) was chosen as the single from Burning Memories, and reached number eleven on the US Country charts. Later in 1965, Ray returned with Western Strings his eighth album. However, it only reached eighteen in the US Country Album charts. Normal service was resumed when Ray released The Other Woman in September 1965. His third album of the year reached number three on the US Country Album charts. After the success Ray had enjoyed during 1965, surely things couldn’t get any better for him? Given the success Ray Price had enjoyed during 1965, he was determined to build upon it. So he began work on his ninth studio album, Another Bridge To Burn. 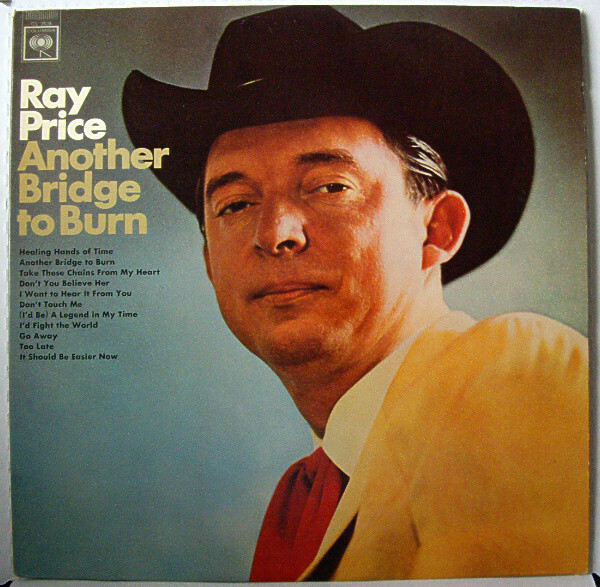 For Another Bridge To Burn, again, Ray Price chose eleven songs by some of his favourite songwriters. This included a trio of Willie Nelson songs, Healing Hands Of Time, Go Away and It Should Be Easier Now. Hank Cochran was another of Ray’s favourite songwriters. He wrote Don’t Touch Me and cowrote I’d Fight The World with Joe Allison. Ray decided to record another Harlan Howard song, Another Bridge To Burn, which lent its name to the album. It was joined Fred Rose and Hy Heath’s Take These Chains From My Heart. Other songs included Nat Stuckey’s Don’t You Believe Her; Fred Carter, Jr’s I Want To Hear It From You; Don Gibson’s (I’d Be) A Legend In My Time and Jimmy Wakely’s Too Late. These songs were recorded in Nashville. Producing Another Bridge To Burn, were Don Law and Frank Jones. They had decided to use strings on the album. The strings and The Cherokee Cowboys provided the accompaniment to Ray Price on the eleven songs. Always there was a tenderness in his delivery. The impressive baritone voice that captivated listeners across America for over a decade, was on form during the Another Bridge to Burn sessions. Once the album was complete, Columbia scheduled the release for the summer of 1966. When Another Bridge to Burn was released in July 1966, it was to widespread approval and critical acclaim. The album featured Ray Price at his best, mixing country with a hint of pop stylings. It was no surprise that Another Bridge to Burn reached number one on the US Country Album charts. This was Ray’s second number one album. However, this wasn’t the end of the success Ray enjoyed during 1966. Later in 1966, Ray Price released A Way To Survive as a single. It reached number seven on the US Country charts. The followup, Touch My Heart reached number three on the US Country charts. Both songs would feature on Ray’s next album, Touch My Heart. Having enjoyed a second number one album on the US Country Album charts, Columbia were keen that Ray Price released another album quickly. So he was sent back into the studio to record his twelfth album, Touch My Heart. Just like previous albums, Ray Price dipped into the Willie Nelson and Hank Cochran songbooks. They had served Ray well in the past, and would do so again. Among the songs Ray chose songs about love, love lost, heartbreak and hurt. This included Touch My Heart, There Goes My Everything, It’s Only Love, I Lie A Lot and You Took My Happy Away. They took their place alongside A Way To Survive, Jeannie Seely’s Enough To Lie; Marty Robbins’ The Same Two Lips and Am I That Easy To Forget. Completing Touch My Heart were Swinging Doors and For The Record. These songs were recorded in the country music capital, Nashville. As usual, The Cherokee Cowboys accompanied Ray Price, while Don Law and Frank Jones took care of production. This time round, the producers eschewed the swathes of strings that had featured on A Bridge To Burn. Instead, they favoured a much more organic sound on album which features country and pop . One thing didn’t change, Ray Price’s mastery of balladry. It was to the fore throughout Touch My Heart, where Ray laid bare his soul and hurt for all to hear. Little did anyone realise as the recording progressed, that they were witnessing history being made. Touch My Heart which was a country classic. Critics agreed before the release of Touch My Heart, in January 1967. 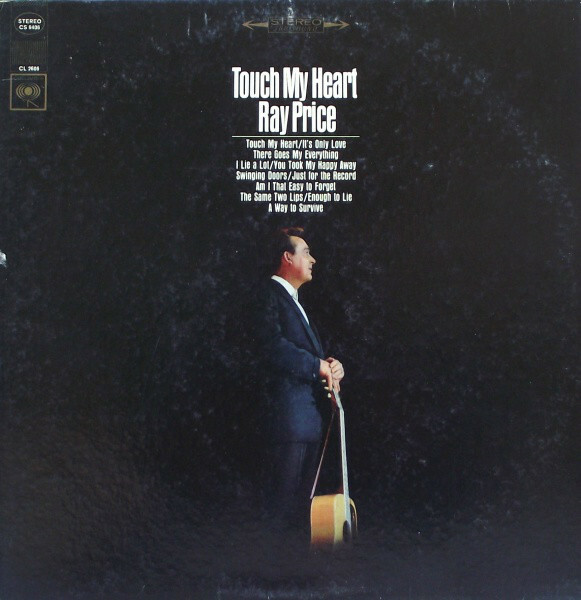 Touch My Heart was hailed a classic, and one of the highlights of Ray Price’s two decade recording career. It was no surprise when Touch My Heart topped the US Country Album charts, giving Ray Price the third number one album of his career. Touch My Heart became Ray’s first album to enter the US Billboard 200, when it reached 129. At last Ray Price’s music had crossed over and found a much wider audience. This continued when Danny Boy was released as a single in early 1967. It reached number nine in the US Country charts, and gave Ray Price his first hit in the US Billboard 100, when it reached number sixty. The followup, a cover Willie Nelson’s Crazy, stalled at number seventy-three in the US Country charts. This was disappointing, as it would feature on Ray’s next album Danny Boy. Given Ray Price had enjoyed two consecutive number one albums in the US Country Album charts, Columbia were keen he released another another quickly. So in April 1967, Danny Boy was released. For Danny Boy, Ray Price decided to cover old favourites like Greensleeves, Danny Boy, Spanish Eyes and Willie Nelson’s Crazy. They were joined by Frankie Brown and Ted Daffan’s Born To Lose; Billy and Dottie West’s What’s Come Over My Baby and Ervin Drake and Jimmy Shirl’s Across The Wide Missouri. Ray also decided to cover Lew Douglas, Frank LaVere and Cliff Parman’s Pretend and Inez James, Buddy Pepper and Larry Russell’s Vaya Con Dios (May God Be with You). The other song on Danny Boy, was Soft Rain, a Ray Price composition. These songs had been recorded in Nashville, with The Cherokee Cowboys. Just like previous albums, Don Law and Frank Jones produced Danny Boy. Grady Martin was drafted in to conduct the orchestra, as Ray Price headed in direction pop and easy listening. However, Ray hadn’t turned his back on country music. Instead, he was trying to broaden his appeal. If ray could again, crossover into the lucrative pop market, the rewards were potentially huge. US Billboard 200. Ray Price’s music was reaching a much wider audience. No longer was he only popular with country music circles. His music had a much broader appeal. For Ray this was had been what he had been working towards since he dropped out of veterinary college. 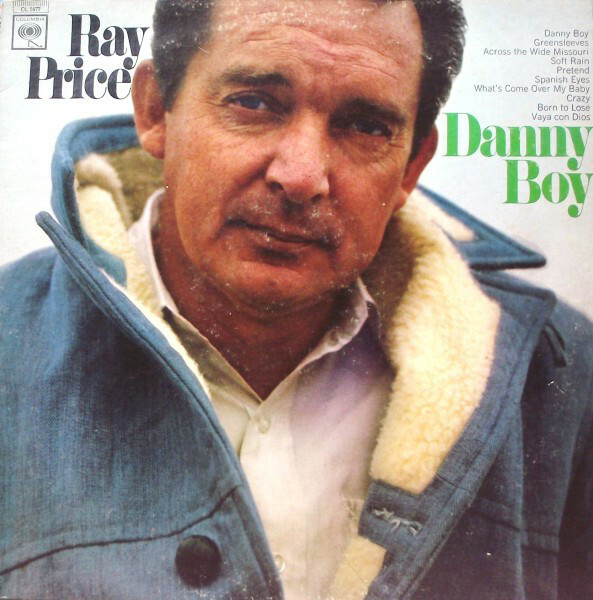 After the success of Danny Boy, Ray Price released I’m Still Not Over You as a single. It reached number six on the US Country charts, and number sixteen in the Canadian Country charts. The followup, Take Me As I Am (Or Let Me Go) reached number eight in the US Country charts, and number three in the Canadian Country charts. Both singles would feature on Ray’s next album Take Me As I Am. 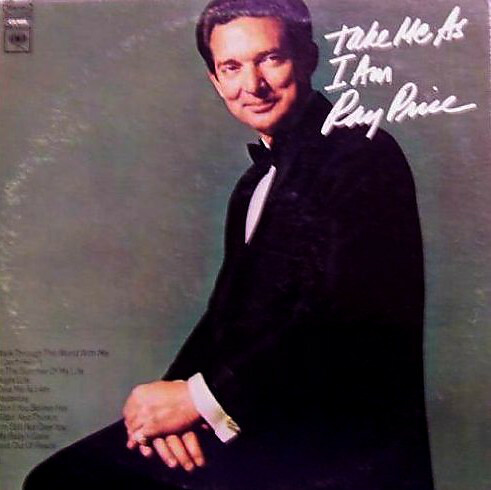 Buoyed by the success of his crossover album Danny Boy, Ray Price’s thoughts turned to the followup, Take Me As I Am. It was another eclectic album, where Ray combined country with easy listening and pop. Sometimes, Ray dawned the role of a Las Vegas lounge singer, as he became a musical chameleon. By then, Ray was trying to appeal to as many people as possible. No longer did he regard himself as ‘just’ a country singer. However, Take Me As I Am featured songs penned by some of the biggest names in country music. This included Ray Price’s old friend, Hank Williams. Ray delved deep into the Hank Williams songbook again, and covered I Can’t Help It (If I’m Still in Love With You). Willie Nelson had long been a favourite songwriter of Ray, and he covered I’m Still Not I n Love With You; and Night Life which Willie Nelson wrote with Walt Breeland and Paul Buskirk. They were joined by Charlie Rich’s Sittin’ and Thinkin’; Nat Stuckey’s Don’t You Believe Her and Hazel Houser’s My Baby’s Gone. Other songs included V.F. Stewart’s Just Out Of Reach; Lan O’Kun’s In The Summer Of My Life; Boudleaux Bryant’s Take Me As I Am (Or Let Me Go); Kaye Savage and Sandra Seamons’ Talk Through This World With Me and Lennon and McCartney’s. Yesterday. These songs became Take Me As I Am. When recording got underway in Nashville, there had a change in personnel. Don Law was producing the album on his own. Ray Ellis took charge of the arrangements, and conducted the orchestra. The one thing that didn’t change was Ray Price’s backing band, The Cherokee Cowboys. They provided the backdrop as Ray became a musical chameleon. Ray Price combined country and pop with easy listening, and even, ventured into the territory of the Las Vegas lounge singers. However, Ray was at his best on the ballads and love songs. He comes into his own, with heartfelt and emotive vocals. On Sitting’ and Thinkin’ Ray’s in a reflective mood, while his hurt and heartbreak shines through on I’m Not Over You and My Baby’s Gone. Then on Just Out Of Reach, Ray’s vocal is rueful, while Yesterday is bittersweet and wistful. Always, though, there’s a soulful quality to Ray’s voice. Ray was putting his twenty years of experience to good use on Take Me As I Am. It was an album that was meant to appeal to a wide range of record buyers. Before Take Me As I Am was released, critics had their say on the album. The reviews reviews praised Ray Price’s determination to reinvent himself, and take his music in new directions. Critics forecast another successful album from Ray. When Take Me As I Am was released in March 1967, it reached number five in the US Country Album charts. This was another success for Ray Price. However, the album never troubled the US Billboard 200. Maybe, Take Me As I Am was the wrong album at the wrong time? 1967 was the Summer Of Love, and albums of country, pop and easy listening maybe weren’t going to attract the audiences they once had? Psychedelic music was growing in popularity. So was country rock. At least, there was no decline in country music’s music’s popularity. In the country music community, Ray Price was one of the most successful artists of the sixties. By the time Take Me As I Am was released in March 1967, Ray had released thirteen albums. Eight of the albums Ray had released since the inception of the US Country Album charts, had reached the top ten. Three of these albums had reached number one. Ironically, Ray’s least successful album, Danny Boy, which only reached eighteen in the US Country Album charts, reached 106 in the US Billboard 200. This gave Ray his biggest crossover album of his career so far. Then there was the small matter of thirty-one hit singles, including twenty-three top ten hits and three number one singles. Ray Price had come a long way since he released his debut single Jealous Lies. Ray Price was a giant of country music, and already, his career had spanned three decades. Eventually, Ray’s career lasted eight decades. During that period, Ray released fifty-one albums, and was even recording and performing into his eighties. Sadly, Ray Price, a true legend of country music died on December 16th 2013, aged eighty seven. During his long and illustrious career, Ray Price sung everything from country, easy listening pop and swing right through to gospel. His distinctive baritone brought life and meaning into literally hundreds of songs. This includes the four albums which were recently reissued and remastered as a two disc set by BGO Records. Another Bridge To Burn, Touch My Heart, Danny Boy and Take Me As I Am feature on BGO Records’ two disc set. They were released between July 1966 and March 1968, which was one of the most successful periods of Ray Price’s career. It was also a period where Ray Price decided to reinvent himself, so that his music appealed to a much wider audience. This Ray Price succeeded in doing, and in doing so, showed different sides to much missed, country music legend The Cherokee Cowboy. ← BUSHMAN’S REVENGE-JAZZ, FRITT ETTER HUKOMMELSEN.